Brian Czech is the founding president of CASSE, and signed on as executive director in 2018. Czech served as a conservation biologist in the headquarters of the U.S. Fish and Wildlife Service from 1999-2017 and as a visiting professor of natural resource economics in Virginia Tech’s National Capitol Region during most of that period. He is the author of several books including Supply Shock, Shoveling Fuel for a Runaway Train, and The Endangered Species Act, as well as over 50 academic journal articles. Czech is a frequent speaker, commentator, and a regular contributor to the Huffington Post and the Daly News, a blog focused on the steady state economy. He has a B.S. from the University of Wisconsin, an M.S. from the University of Washington, and a Ph.D. from the University of Arizona. Czech is a hunter, fisherman, vegetable grower and general hand. Contact Brian via email. Skyler Perkins joined CASSE in June 2018, following his graduation with an M.S. degree from the University of Vermont, Department of Community Development and Applied Economics. He also received a certificate in Ecological Economics from the Gund Institute. Skyler’s research has focused on ecological economics and sustainable food systems. He brings academic principles of cybernetics to the advancement of the steady state economy, along with applied skills in facilitation, photography, and videography. Jessica LaMay joined CASSE in August 2018. She is currently pursuing an M.A. in Global Environmental Policy at American University’s School of International Service. Jessica has a B.S. 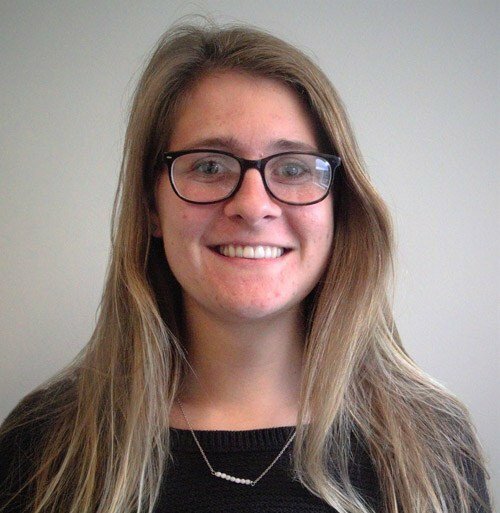 in Biology and Environmental Studies from St. Lawrence University, where she focused on research projects related to community-based education, endangered species conservation, global amphibian decline, and invasive species outreach. Using her experience working for a variety of environmental nonprofits, she will oversee daily administrative tasks, facilitate ongoing HR-related operations, and manage both social media and mass-email campaigns. 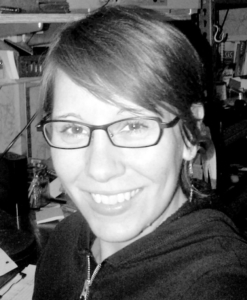 Amelia Jaycen joined CASSE in September 2018. She is a science writer specializing in online news production with interests in the business and economics of research and development activity in a wide variety of sciences. She has reported on topics including climate, energy, agriculture, biology, chemistry, physics, astronomy, and computer engineering, as well as ocean, Arctic, and Antarctic research. Jaycen holds a master’s degree in journalism from the University of North Texas. As managing editor, she will facilitate print and online communication of topics across the spectrum of steady state economics. 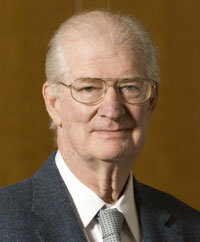 Herman Daly is a professor emeritus at the University of Maryland, School of Public Policy. From 1988 to 1994 he was a senior economist at the World Bank. Prior to that he was a professor of economics at Louisiana State University. He holds a B.A. from Rice University and a Ph.D. from Vanderbilt University. 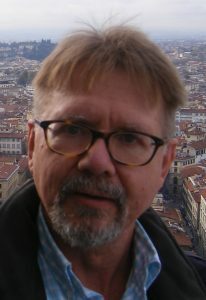 He co-founded the journal Ecological Economics. He has written many articles and books, including Steady-State Economics, For the Common Good (with John Cobb),Valuing the Earth, Beyond Growth, Ecological Economics (with Josh Farley), and Ecological Economics and Sustainable Development. Herman is a recipient of Sweden’s Honorary Right Livelihood Award, the Heineken Prize for Environmental Science, the Leontief Prize, the Medal of the Presidency of the Italian Republic, and the NCSE Lifetime Achievement Award. Contact Herman through CASSE. 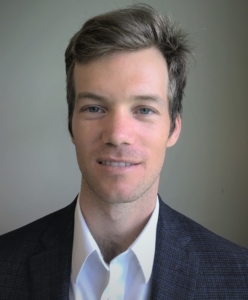 James Magnus-Johnston is the Director of the Centre for Resilience at Canadian Mennonite University, where he teaches social entrepreneurship and ecological economics. He is also a board director with Assiniboine Credit Union, one of Canada’s largest independent financial cooperatives, and is the co-founder of an award-winning social business. James published a contribution to A Future Beyond Growth: Towards a Steady State Economy, and he co-authored an ecological/economic analysis of the Energy East Pipeline for the Canadian Centre for Policy Alternatives. James previously worked in the financial industry, in policy positions with lawmakers, and in the communications industry as an editor. He has an MPhil in Economics from Cambridge University, where he conducted research on the growth dynamics imposed by the global banking system. Contact James via email. Fola Babalola is a Ph.D. candidate in forest economics at the University of Ibadan, Nigeria. He has completed numerous projects that combine ecological and economic expertise, including a cost-benefit analysis of seedling production, design of incentives in the agroforestry industry, development of forest policy, and socio-economic valuation of non-timber forest products. Fola has received a number of scholarships, fellowships and research grants. His publications have appeared in scientific journals, proceedings, and technical reports. His current focus is on sustainable management and conservation of forest biodiversity in the face of economic growth. Contact Fola via email. Soumitri Das has over 10 years of international experience in the areas of forestry, biodiversity, energy, climate change, sustainable development, GIS and remote sensing based on his association with the Indian Institute of Management Ahmedabad (IIMA) (India), Virginia Tech (US), Forest Technology Group (US), UNEP World Conservation Monitoring Centre (UK), and The Energy and Resources Institute (TERI) (India). A Chevening Scholar, Soumitri holds masters degrees in natural resource management from Virginia Tech (US) and the Indian Institute of Forest Management (IIFM) (India). Contact Soumitri via email. Fernando Goulart is a Ph.D. candidate in ecology at the University of Brasilia. He holds a masters degree in ecology, conservation and wildlife management and an undergraduate degree in ecology, both from the University of Minas Gerais, also in Brazil. He has a special interest in socio-environmental conflict, environmental education, agro-ecology, agro-forestry, human ecology, ethno-ecology, landscape ecology, ecological modeling, ornithology and bird conservation issues. Recently he has worked as a researcher for the Dynalearn Project, a project coordinated by University of Amsterdam that uses qualitative reasoning models. Contact Fernando via email. Geoff Mosley is a Councillor and former CEO of the Australian Conservation Foundation (ACF). He is an active member of the World Commission on Protected Areas and previously served as a member of the IUCN Council. He has been working as a volunteer to educate fellow citizens on the means to achieve a sustainable society. Contact Geoff via email.